Sports are playing an increasingly important role in both society and the economy. Yet when it comes to the study of sports economics, most literature focuses on professional athletics; the topic of leisure sports receives scant attention on either a theoretical or practical level. My goal is to deal with leisure sports, with leisure sports’ markets. I would like to introduce the Hungarian leisure sports’ markets in details. After literature review, this article will review the results of 31 qualitative in-depth interviews. When selecting my interviewees, I employed the criterion, opportunistic and snowball methods. I interviewed three representatives from the state, 10 people from civil society, 12 from the corporate sphere, and six university experts in Hungary who specialize in sports business or sport sociology. In the one and a half hour long in depth interviews I tried to find answer to my research question: “What kinds of markets for leisure sports exist and what are their characteristics in Hungary?” In theory, there are five distinct markets for leisure sports. In Hungary, there are only four, because the merchandising market does not exist. Of course, every market has room for further development. My interviewees mostly talked about the consumer and sponsorship markets; I analyzed 164 paragraphs on the consumer market and 195 paragraphs on the sponsorship market with Nvivo qualitative software, 105 paragraphs regarding market of sport professionals, 56 in sports equipment and sports wear market and only 3 paragraphs in merchandising market. I will introduce the results in details. András, K. (2004). A hivatásos labdarşgás piacai. Vezetéstudomány Különszám. 40-57. Bennett, R. (1999). Corporate philanthropy in France, Germany and the UK- International corporations of commercial orientation towards company giving in European nations. International Marketing Review, 15(6), 458-475. Irwin, R.L. – Assimakopoulos, M.K. (1992). An approach to the evalutaion and selection of sport sponsorship proposal. Sport Marketing Quarterly, 1(2), 43-51. Kassay, L (1998): A szponzorok és a reklámozók kiszolgálása. Marketing&Menedzsment, 1998/3, 25- 27. Kassay, L (2003). Kevesebb a szponzorpénz. Világgazdaság, 2003.12.4. Meenaghan, T. (1983). Commercial Sponsorship. European Journal of Marketing, 17(7), 5-73. Vályogos, Gy. – Misovicz, T. (1994). Sportszponzorálás Magyarországon. BKÁE, Kutatási beszámoló. ISNAD Szabó, Ágnes . "Leisure sports’ markets". 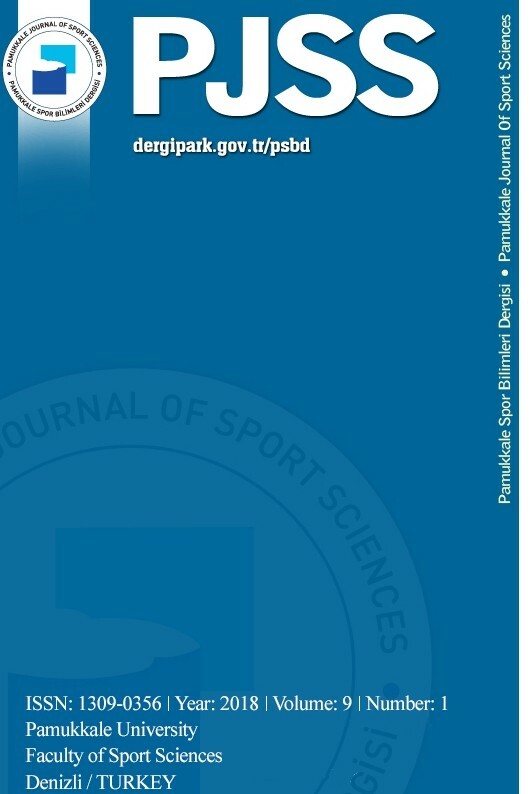 Pamukkale Journal of Sport Sciences 5 / 3 (September 2014): 1-22.